Made from durable FSC certified timber. Attracting bees to the garden is not only safe, but beneficial to pollination of flowers, fruit and vegetables. The hole sizes of this habitat are precisely specified to attract non-swarming bees like the Red Mason Bee, Leafcutter Bee and other solitary bees. 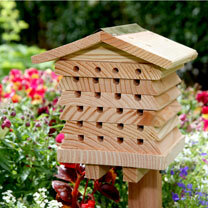 These friendly bees are industrious and safe around children and pets. 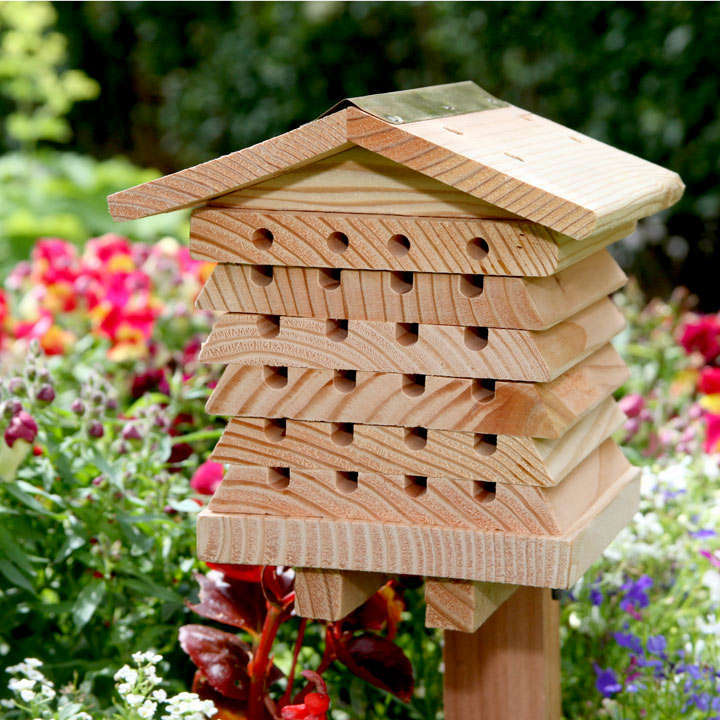 This solitary bee hive provides a habitat that has become harder to find in modern gardens. Site in a sunny position between south south-east to catch some morning sun. Mounting height between ground level and 1.5m. 20 x 22 x 22cm.